If you for any reason need to update all packages and applications in Configuration Manager, there are some ways to do this with PowerShell. 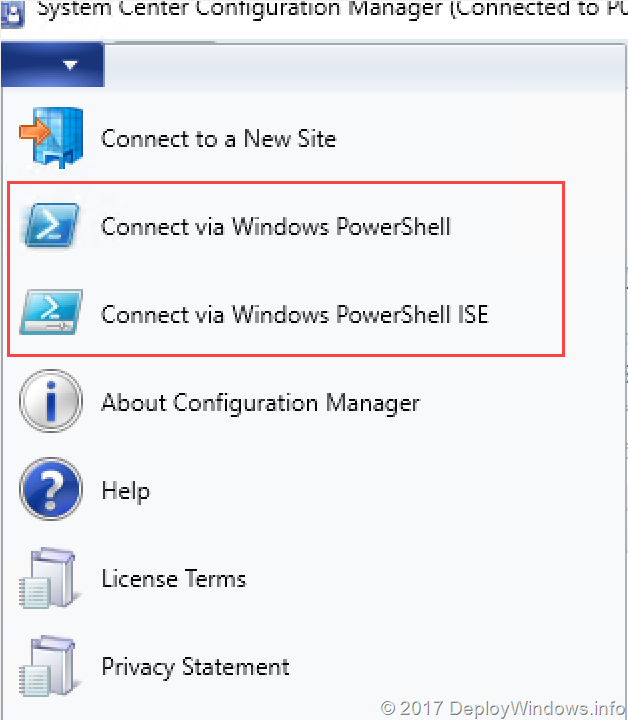 If you never used PowerShell with ConfigMgr before, you can start PowerShell connected to your environment from the console. In most cases I use the PowerShell command prompt only, but the ISE is perfect if you want to save your commands, run line by line and run scripts. Ok, how to I update all packages? Simply use this command, you may skip the –verbose if you don’t want any feedback. So over to applications, this is a bit more tricky, ’cause Update-CMDistributionPoint requires to parameters application name and Deployment type name. But still doable, look here. Happy updating! Have comments or thoughts? Please share them either contact me on twitter, email or a comment below. Previous Previous post: Dual scan or Windows Update for Business with ConfigMgr/Software Updates?